When we last saw Simon Ellis, it was considerably nicer out. He was on the patio. The sun was shining. He was contemplating exactly which beer should be chosen to deflower the finest growler in the land. It was a retirement gift from his son in law, a ceramic work of art adorned with the flag of Simon’s native United Kingdom. On this day, he was again looking to fill the jug, hours before Super Bowl kickoff. 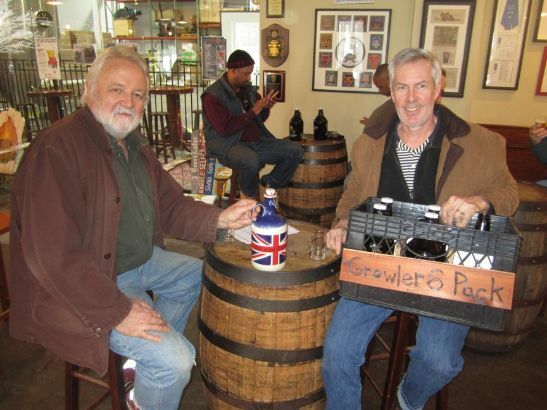 So does the growler; it may be the Just Ryght Rye IPA he was enjoying alongside pal John Andersen, also of Katonah. All the Seussian contraption needed was a name. The Pourter? Crate Expectations? Hop To It? That, and some shoulder straps, added John. Also filling up the growlers were Tracey Koch and Cindy Richardson of Tarrytown. “Our husbands don’t need to because we are,” said Tracey, music to any husband’s ears. 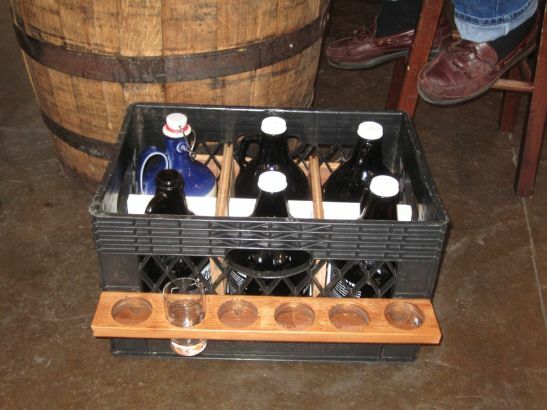 It was the Liquid Gold and the Freshchester Pale Ale for their 64-ounce vessels. “You’ll watch people watch the Super Bowl,” added friend A.P. Orlebeke. A.P. 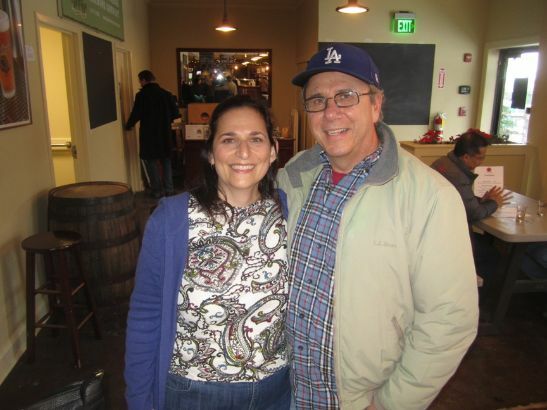 had his heart set on a brewery tour, googled local breweries, and “found a wonderful brewery tour in my backyard.” Alas, he and Emily missed the call for the 4 p.m. tour, and will have to wait another week. Nearby, Howie Ciarcia of Port Chester has been on a few Captain Lawrence tours in his time. 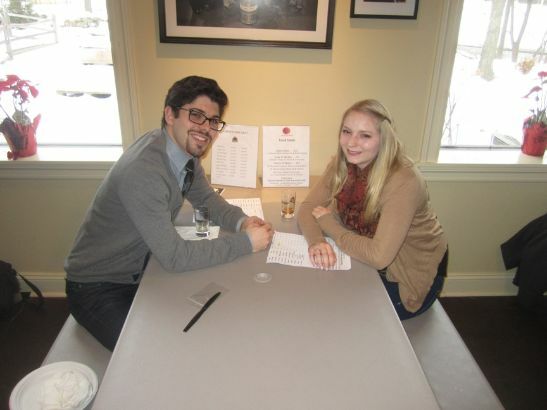 He’s a CL “groupie,” he said, dating back to the brewery’s Pleasantville days. These days, his beer of choice is something of a dark horse—actually, a Brown Bird Ale, to be specific. “It’s flavorful but not too heavy,” Howie said. Captain Lawrence Brewing, at 444 Saw Mill River Road in Elmsford, is open Wednesday through Friday, with weekend brewery tours on the hour, starting at 1. The author is paid by Captain Lawrence, partially in Freshchester Pale Ale.